With the start of a new school year, think about participating in our Teen Advisory Group at the library! We have monthly meetings where we plan special events, pick out new materials and much more! Get involved and help make the library a place you want to hang out! 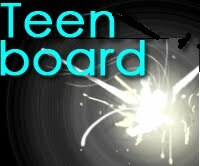 The Teen Advisory Board meets this Saturday, October 6th, at 1:00 pm.